Florafelt® Pocket Panels use galvanized staples to attach the felt to the plastic board. These staples can last up to 12 years or more. The Florafelt® material is made from P.E.T. plastic that will not decay under normal growing conditions. To add longer life to existing installations that have a plywood backing, use 2″ smooth-coated deck screws to reinforce the top of each pocket. 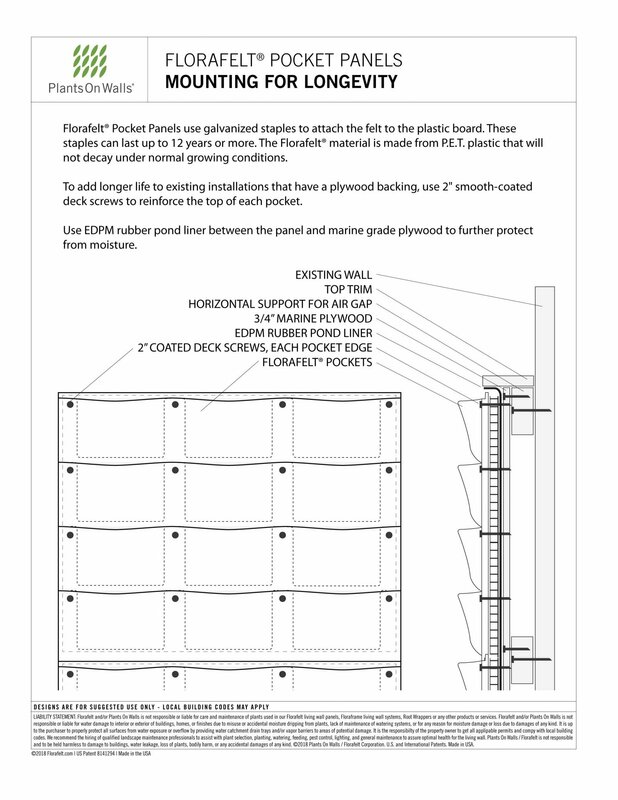 Use EDPM rubber pond liner between the panel and marine grade plywood to further protect from moisture.